Of the major urban pests, only Eastern subterranean termites (Reticulitermes flavipes) and carpenter ants (Camponotus spp.) are native species. All others are interlopers. 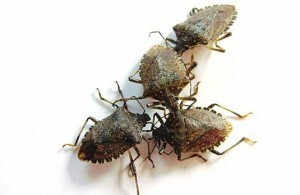 House mice; Norway and roof rats; pavement and pharaoh ants; German, American, and Oriental cockroaches; bed bugs; Indianmeal moths and dozens more are introduced species.